It’s Angela from Number Fifty-Three and I’m excited to share this DIY wood plant stand I worked on with you all. I think it adds the perfect cozy vibe to any room in your home. 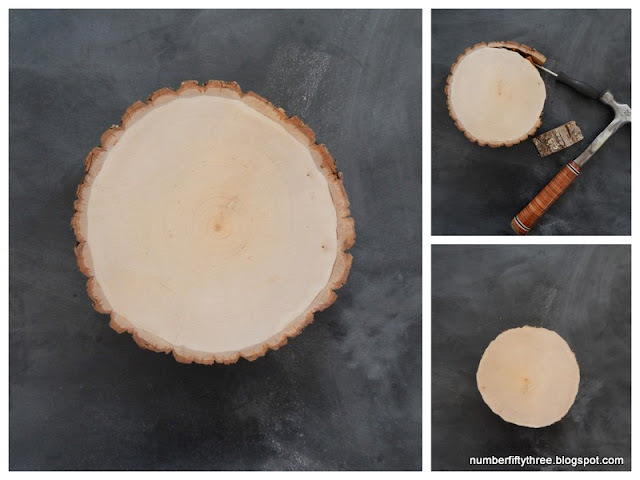 I started out by carefully removing the bark from my wood slice with a screwdriver and hammer, working slowly until I had it all removed. I then used medium grit sandpaper to thoroughly smooth the side of the wood slice. Next, I stained the entire piece. Note: the stain soaked in far more on the top of the wood slice than on the side, which created an effect that I really did not like. I remedied that by lightly sanding the top until I achieved my desired color. Once, the stain dried, I applied a few coats of poly. Lastly, I attached the corner braces to the wood slice, making sure that it was sitting level. Once they were attached, I carefully bent the end up towards the center to create little feet. Isn’t the wood beautiful without the bark on it? I love this little wintery scene in my living room. Those pine clippings are actually left over from Christmas. I clipped them from our yard and stuck them in water and they actually seems to be growing roots and little pale green pine cones. Is that even possible? This is actually on top of our radiator so maybe that has something to do with it! Hi Jennifer, I love your chart regarding Wax versus Poly over painted furniture it is exactly what I have been looking for and I printed it out for future use. I have a question about using poly — and seeing brush strokes. I recently tried the Minwax Wipe on Poly and loved it. Satin Finish and wipe it on with an old t shirt…no marks. I just painted an old magazine rack with spindles and you know how difficult painting spindles is, with all the drips! Using that wipe on Minwax was extremely easy =and WOW…..I love it. Easy to use … only problem is it is not Polycrylic. You mentioned using spray finish. what’s your technique? I normally set it on something outside away from everything, and spray it. I just follow the directions on the spray can, and it goes on pretty quick and dies really fast. I did find the satin can be a little shiny sometimes in the spray finish. I hope that helps! Good luck with your project! 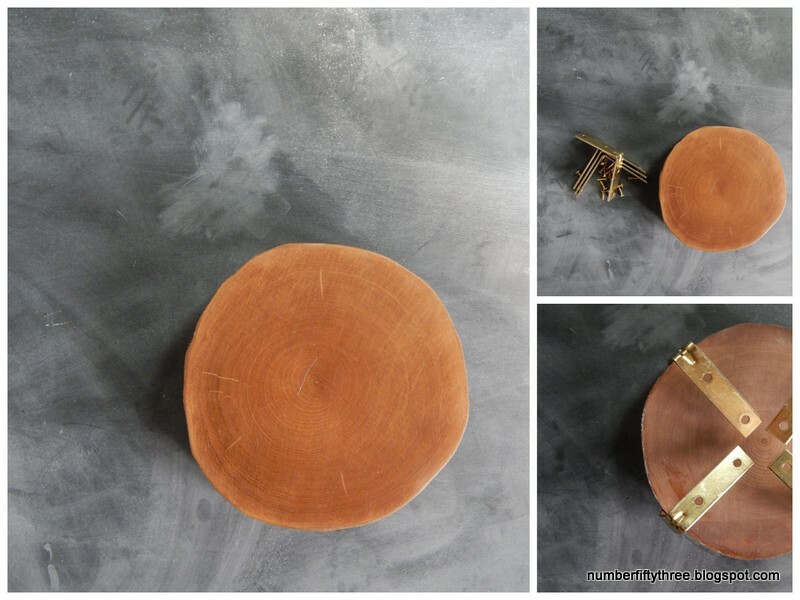 Hi Jennifer, the wooden plant stand is good for any kind of use and can be used to not only hold a plant but set aside to hold your accessories and even a cake for a rustic look. It looks tough and durable. I will make this for my mom. Thanks for the DIY posting. She did a great job, it’s a fun project!